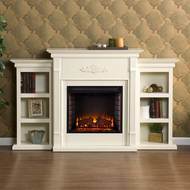 A simple way to add a fireplace to home that doesn't have one is with an electric fireplace. 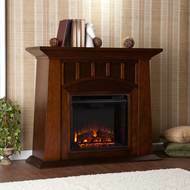 Electric fireplaces don't require venting or costly installation. They come in many sizes and designs and are even portable! 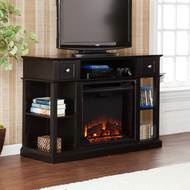 Perfect for rental/apartment living or just deciding to redecorate. 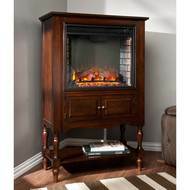 Now everyone can enjoy the look and heat of a fireplace! Shown here are a few of our favorites.